Is customer service the same with customer experience? If they are not the same, then how does customer service differ from customer experience, and which to focus on? Everyone in the contact industry talks about the importance of customer experience in the digital era. However, many businesses today do not know and often confuse about the difference between customer service and customer experience for a variety of reasons. Today, we set out to clear the confusion between the two once and for all. 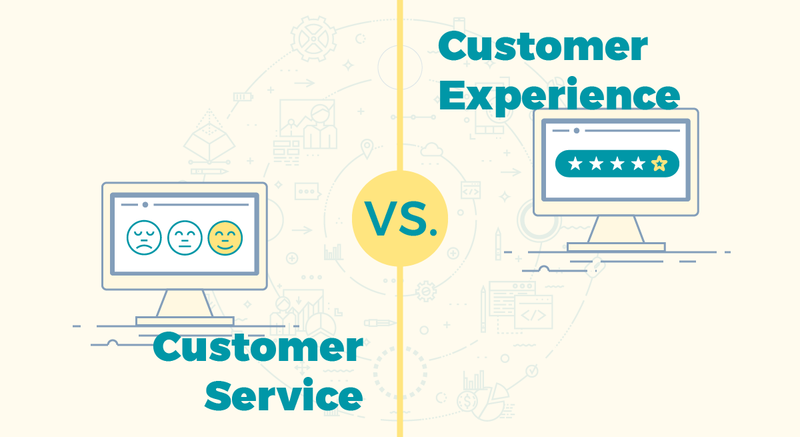 Let’s take a look at customer service vs. customer experience in more detail. Customer service focuses on human interaction and directly supporting customers through giving them assistance or advice before or after using or buying your company’s products or services. The goal of customer service is to increase customer satisfaction by creating everlasting relationships with customers. It usually requires a team of professionals that can provide answers and assistance like troubleshooting any issues, helping customers how to best use the products, and ensuring that customers have a great buying experience. While customer service is one piece of the puzzle, customer experience (CX) is the entire puzzle which involves all the interactions your customer has with your business, products and services. 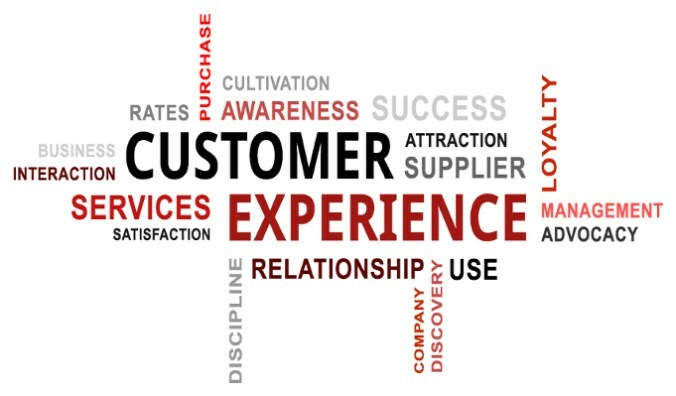 Customer experience involves all the ways your business interacts with a customer, from the time the customer is researching the product to shopping and purchasing to actually using the product and following up with the brand afterwards. Customer Service: This includes the interaction between your customer and your team including customer support, customer success, and self-service support. Design: This includes your brand marketing, brand design, and the feelings your brand creates for your customers. To do customer experience the right way all those components should combine and work together. Clearly “customer service” and “customer experience” are not the same thing, but they are related. To set the record straight, customer service is one of the components that make up customer experience. This component is limited to the customer interactions regarding your products or services. Customer experience, on the other hand, involves analyzing data from non-customer-facing teams who contribute to a customer’s overall experience with a product or service. Now, if you are wondering whether to focus on customer service or customer experience for the best business outcomes, the answer is that you can’t ignore either one, because both of them matter. Customer experience should be at the heart of everything your business does. By including customer service, your brands can delight your customers and exceed their expectations.